A famous old apple well adapted to growing in the South. 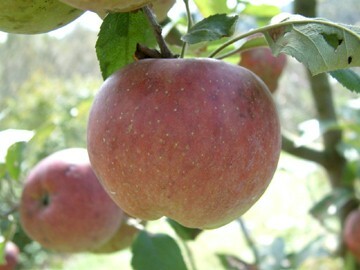 The apple originated on the farm of Michael Kinnaird of Franklin, Tennessee in 1855 and is believed to be a cross of Limbertwig x Winesap. The fruit is large and roundish with thick, tough yellow skin almost completely covered with deep red when exposed to the sun. The yellow, fine-grained aromatic flesh is tender, crisp and juicy. Ripens October in the mountains, but is at its best in January.